Faced with an expanding student population and deteriorating conditions in a century-old building, the City of Chelsea elected to replace the existing Clark Avenue School with a new facility better suited to provide a 21st-century education and support community activities. 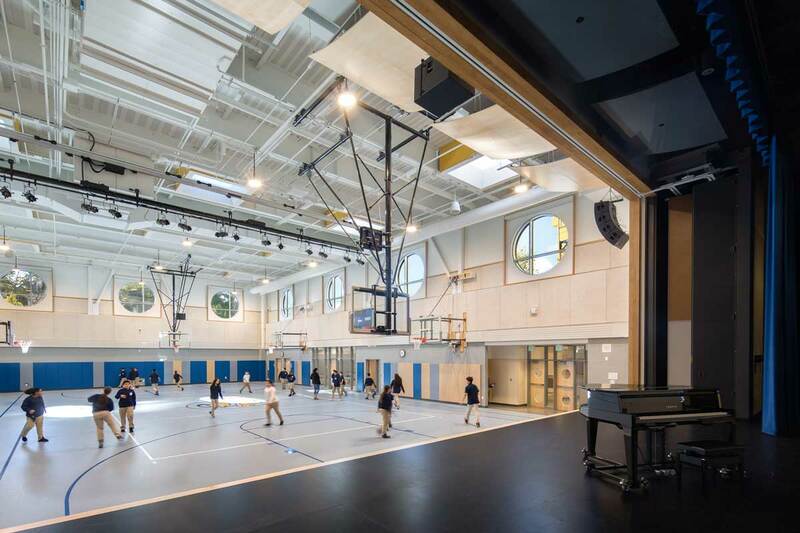 Situated on a 1.4-acre urban site, the new Clark Avenue Middle School was carefully planned and constructed in two phases while the existing school remained in operation, just nine feet from the new construction. The opening of this state-of-the-art academic institution is just another milestone that makes us excited about the city’s future. As the drama-focused feeder school to Chelsea High School, the new building’s specialized areas and organization support and showcase student performances with venues for large productions and smaller, more intimate performances. The auditorium, gymnasium, and other specialty and classroom spaces also serve the community after school hours, hosting a range of activities including adult education courses. While the former school lacked outdoor space for casual interaction between students, forcing them to congregate on small sidewalks, the new building has a more compact footprint. The design introduces student gardens as well as an outdoor courtyard at the entry, with tiered seating for student performances, community movie nights, and a space for students to gather and socialize before and after school. The project required a tremendous amount of coordination and collaboration. It’s been both challenging and exciting to be a part of this process. Our new school now provides all the resources and technological capabilities our students need to excel.